1. 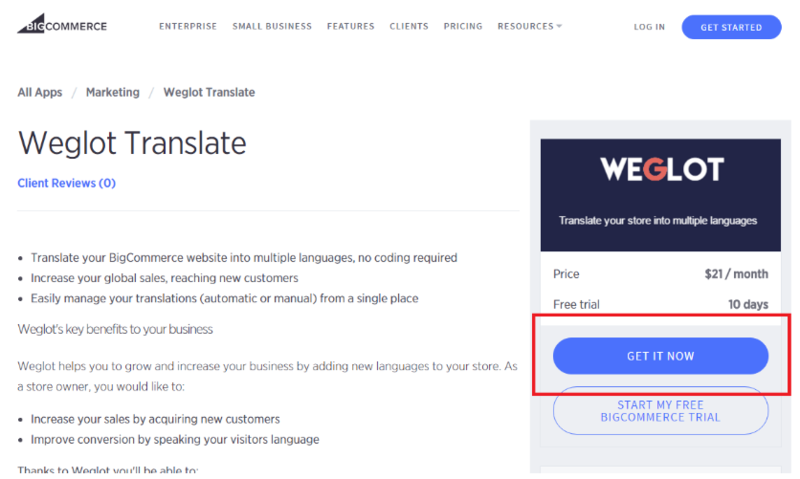 Go to BigCommerce App store and find Weglot Translate App. Then click on "GET IT NOW"
2. 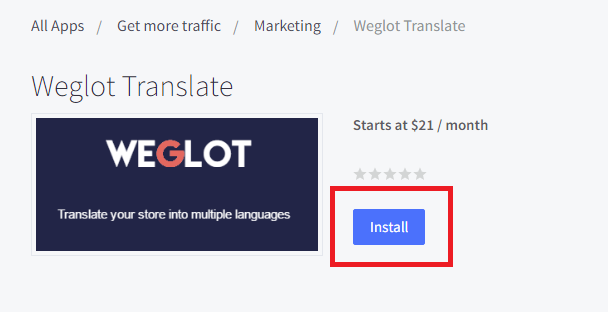 Click on "Install". Then click on "Confirm". 3. 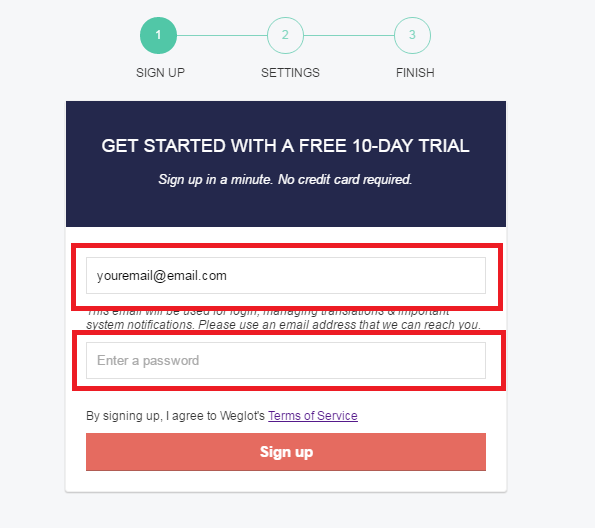 Create your Weglot account by entering an email and password. Click on "Sign up". 4. 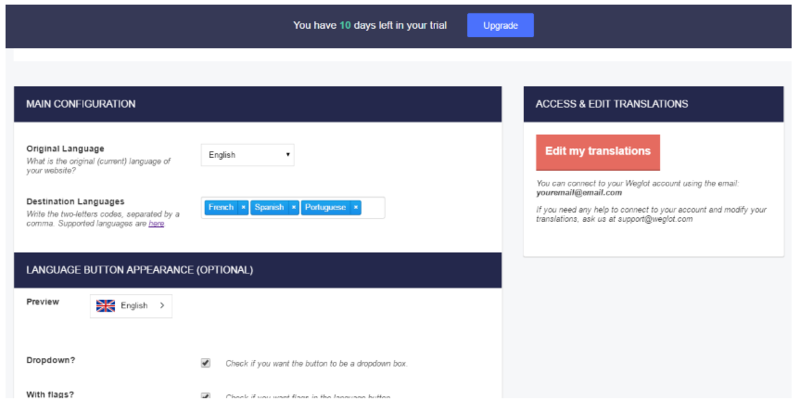 Chose your original language and your destination languages. 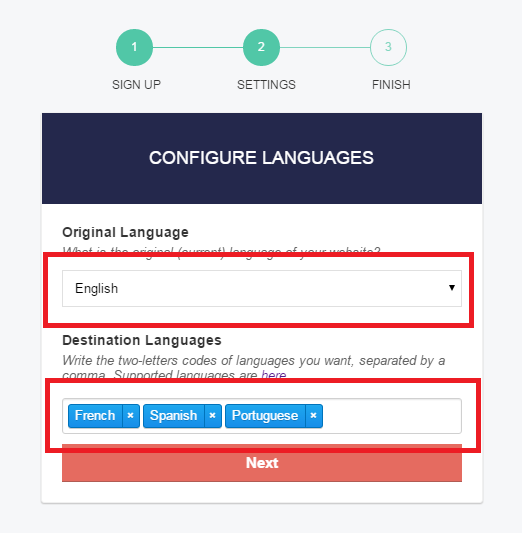 In this example, your website is in English and you want to translate it into French, Spanish and Portuguese. 5. 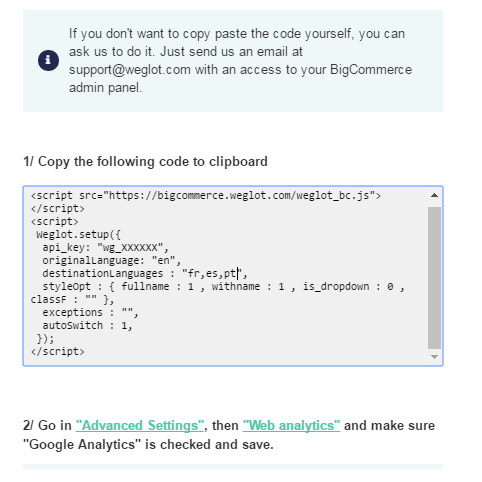 Finish your installation by copy-pasting the code in "Web Analytics > Google analytics" section like explained in the instructions. It's all set up! You can go to your front page and switch the language using the button. For your information: this is the main dashboard where you can configure options.